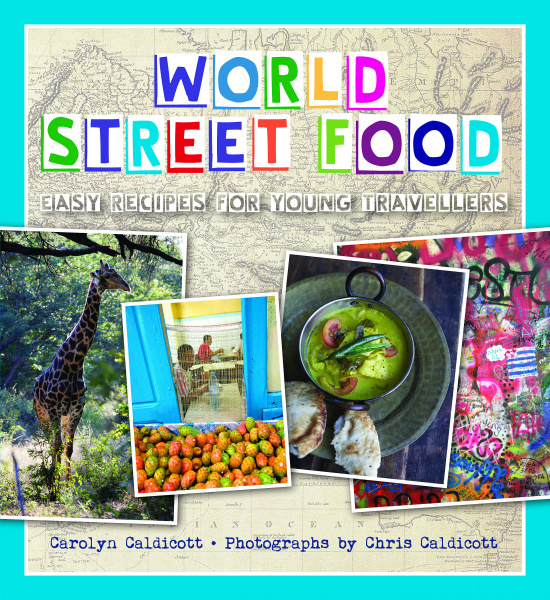 Full of simple, yet innovative, travellers’ favourites, World Street Food is the cookbook for all young travellers and all beginner cooks. Carolyn and Chris Caldicott, co-founders of London’s World Food Café, recreate the tantalizing tastes of street stalls and night markets, trattorias and tea-houses, camp-fire cook-ups and comfort food in back-packer cafes. Carolyn’s recipes simplify on-the-road classics, using ingredients that you don’t have to go to the ends of the earth to find and providing clear cooking instructions. Chris’s stunning photographs transport you back to the Mediterranean as you concoct aubergine parmigiana or piperrada sauce, to the Atacama Desert as you relish a pepper, potato and chorizo tortilla, to the heights of Table Mountain as you munch bunny chow, to a rooftop cafe overlooking the Ganges as you tuck into an easy biryani, to the pagoda cafes of Burma as you enjoy khao coconut rice noodles. For many years Chris and Carolyn Caldicott owned and ran the World Food Café in London's Covent Garden serving delicious vegetarian street food from recipes collected on their travels. The are co-authors of World Food Cafe, The Spice Routes, World Food Cafe 2, World Food Cafe Quick and Easy and The Vegetarian Bible. They have been featured cooking live on the Food Channel and the Restaurant Show and have been guests on America's Live Kitchen. Carolyn now works as a full-time author, food stylist and chef. As well as writing on food and travel for Elle magazine, she is the author of Vintage Tea Party, Rosehips on a Kitchen Table, Bombay Lunchbox and Traditional British Cooking. She has been featured in OK magazine, the Telegraph Magazine, Observer Food Monthly, the Guardian and Sainsbury's magazine. After travelling to some of the most remote parts of the world as photographer-in-residence for the Royal Geographical Association, Chris has continued his globe-trotting lifestyle as a freelance photographer and writer specialising in food and travel for magazines and newspapers including Vanity Fair, House and Garden, Conde Nast Traveller, Tatler, GQ, Harper's Bazaar, The New York Times and the Telegraph. 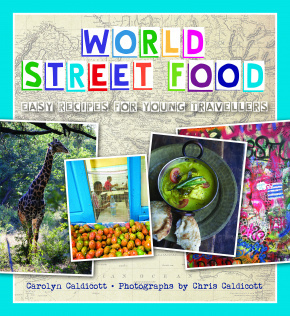 "If you're planning a staycation this summer, but your stomach has other plans, grab a copy of World Street Food. The book is aimed at beginners and the couple's no-fuss approach to cooking means recipes are easy both to shop for and to follow."